RDP funds in Greece are being used to help agricultural businesses offset some of the costs involved in farming in areas that experience 'natural handicaps'. Results support rural communities and conserve cultural landscapes. 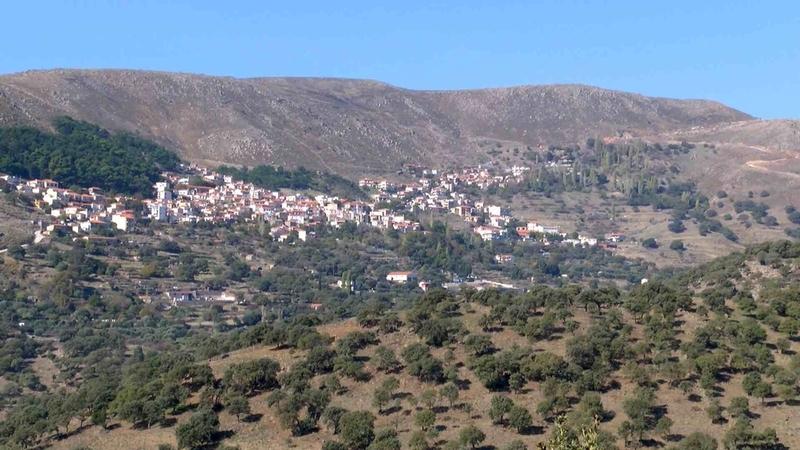 Located on the EU’s South Eastern border, Greece’s Lesvos island supports a mix of rural land uses that are influenced by the island’s differing terrains. These include important biodiversity habitats and landscapes that can be maintained by traditional farming practices. In some parts of the island, 'natural handicaps' (like steep slopes and thin soils) make farming less competitive. Alexandros Giannis is a sheep farmer from the Lesvos village of Agra, and his business receives RDP payments that help compensate him for higher operational costs on his land that experiences natural handicaps. The aims of the RDP payments focus primarily on compensating farmers for higher operational costs in order to help them to continue to run their businesses. Multiplier effects from the farm payments include reducing depopulation pressures in the target areas (thereby protecting the viability of fragile rural communities) and sustaining environmental services provided by farming (such as preserving traditional landscapes and conserving wildlife habitats). RDP payments of 110€/ha per year are provided for farmers like Mr Giannis. The payments require beneficiaries to continue to operate active farming operations during the support period. These payments thus ensure that Mr Giannis continues to graze his herd of some 200 sheep on 20 ha of hilly land near the village of Agra. Much of the land around Agra combines grazing pastures with oak trees in a traditional agroforestry landscape. RDP funds helps support the income of Mr Giannis, which allows him to continue to make a living in the Agra area. This in turn means his family continues to support the viability of village services (e.g. shops and schools etc.). Maintaining his traditional agroforestry land use methods also creates environmental results (conserving habitats, soil quality, and landscapes) that not only offer quality of life benefits for residents but also help to attract/generate tourist income from visitors. Useful socio-economic and environmental multiplier effects are possible from RDP payments made to areas experiencing natural handicaps. Lesvos is increasingly well-known as an attractive eco-tourism destination for bird watchers, since the island lies on migration routes for a range of sought-after species. RDP payments like those made to Mr Giannis, can therefore be particularly useful for helping rural areas to diversify and optimise their development opportunities.